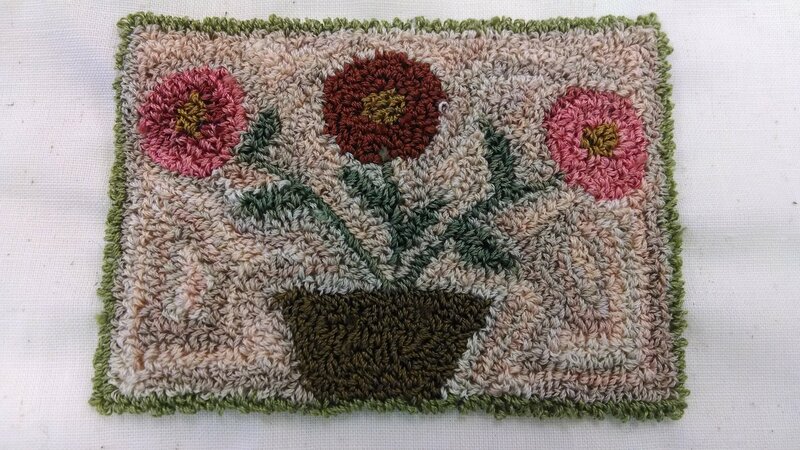 This is a faster method of making a rug, or combine it with rug hooking! It requires medium to heavy yarns, using punch needles instead of hooks. Cheryl will be teaching this class. Back in the days of early America, carpeting and fancy rugs were new! Very popular! And very expensive. Thus, the poor man got innovative! This traditional technique is super simple and is a good stash-buster for all your old yarn or scraps of fabric, come and give this a try with Cheryl. Kit fee of $35 is payable to Cheryl, for canvas and fibers. The kit fee of $35 payable to Cheryl.